Veterans of the armed forces have made significant contributions to the liberties and freedoms in America. Memorial Day is honored each year to honor those fallen while protecting our freedom. Started during the Civil War by southern women, the country adopted this tradition to honor all who fought in any American war. Previously known as “Decoration Day,” it is still practiced today, often by decorating the graves of fallen soldiers. In decorating the graves of the fallen, we recognize their individual sacrifices and show sympathy to the families of the fallen. The living also receive flowers to show appreciation for their contributions to this great nation. If you are planning on ordering flowers to place on the graves of the fallen, you may be wondering which flowers arrangements to get. While there is no declared Memorial Day flower, old poems written about the battlefields in Belgium do mention red poppies. These poppies grew in between graves of the fallen soldiers, and soon became associated with the holiday, as they symbolized the blood shed for freedom. When buying flowers for Memorial Day graves, however, you can choose from a wide variety of patriotic flower arrangements available. Flowers that come in red, white, or blue tend to be crowd favorites, as they commemorate the patriotism of the day. You can also get flowers arrangements in custom shapes, or with custom memorabilia. For example, if requested, we can create the arrangement in the shape of a heart, a cross, or a flag. For your Memorial Day flower arrangements, here are flowers that are in season this time of year. If you plan on visiting cemeteries and placing flowers on graves of the fallen, preorder Memorial Day flowers early. This is a busy season for florists, so place your order in advance. If someone else is picking up your order, them up, be sure they know the store hours of the florist. It would be frustrating for them drive to our store location, only to arrive at the florist after store hours. During the week our Boise florist is open Monday-Friday: 9am-5pm, but on Saturdays we are open 9am-12pm. Our florist will be closed on Memorial Day. Call (208) 342-5687 in advance if you have any questions about our holiday hours or any other day not mentioned. Our Boise florist offers delivery options available for a small fee, if you live within our designated areas. Valentine’s Day Card: Simple, but super meaningful, a Valentine’s Day card is always a good idea. It shows you took the time to remember and appreciate the ones you love. These types of gestures are always touching to a spouse, parent, child, or grandparent. If you aren’t one for words, a Valentine’s Day card is perfect to capture exactly how you feel! Fine Chocolates, Candies & Snacks: Everyone loves receiving specialty chocolates and sweets, especially on Valentine’s Day. It’s not only savory and delicious, but it’s something you can enjoy throughout the week. Johnson Floral & Decor offers a wide selection of chocolates, Weiser Classic Candy, and snack baskets, which are perfect for this upcoming Valentine’s Day. Valentine’s Balloons: Valentine’s Day is about finding ways to celebrate the people in your life and strengthening your relationships. A fun way to surprise your lover on Valentine’s Day is with some Valentine’s balloons. These are fun to decorate their office, home or car with to make the day a little more special. Balloons are always a welcome surprise. Stuffed Animal: Want to know what has Valentine’s Day written all over it? Cute, stuffed animals! It may be a little old school, and cheesy, but honestly who doesn’t love it? These gifts are also great for younger children as well. Valentine’s Day comes around once a year, so why not make it a special day? You don’t have to be the romantic type to like the holiday and make the day memorable. Have fun with the holiday, let your creative juices flow, and take the time to be thoughtful and make someone else feel loved. A lot of little things can help make a relationship flourish. Be sure to check out some of our Valentine’s Day specials below! If you need some more ideas, do not hesitate to stop by our Boise store and see what else our shop can offer. If you can’t seem to find the perfect bouquet or arrangement on our website or in our shop, keep in mind our Boise florist does custom orders! We can have your Valentine’s Day order ready to pick up or deliver when you need it! Start planning for Valentine’s Day today, and be sure to make it a great one! Call us at (208) 342-5687 today! Online crowdfunding is a great opportunity for friends and family to contribute to the funeral costs. Funerals can be quite costly, and can be difficult to pay for when finances are already tight. The last thing you want to do is to go cheap or feel financially exhausted. If you have not yet considered crowdfunding, you and your family may want to consider this option. Keep in mind crowdfunding is nothing to be ashamed of. It helps to ease your family’s burden, as well as provide close family and friends an opportunity to show their love and support. If you do not feel comfortable asking for money donations for the funeral, it is perfectly fine to request funeral flower donations instead. If your loved one is a military veteran, keep in mind they may be eligible for governmental benefits or a small funeral allowance. It just depends on whether your loved one was killed while in the service, or if the death was non-service related. For further questions about these benefits or burial allowances, please refer to https://va.gov/. When ordering funeral flowers for a friend or loved one, keep in mind funeral customs differ among various religions, or even nationalities. 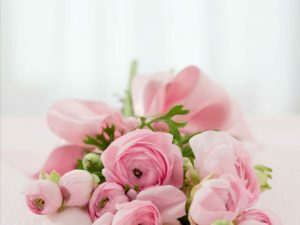 Most religious funerals will incorporate flowers into the funeral, however, some religions, such as Judaism, generally do not incorporate flowers into the ceremony. Other Christian religions, such as those of the LDS faith, prefer to avoid the Cross on funeral arrangements. Those of the LDS faith prefer to focus on the resurrection of Christ, instead of his death. Before ordering flowers, be sure to double check the religious customs of the family before placing your order. Johnson Floral & Decor offers a wide variety of unique flower arrangements for funerals or cemetery gravesites. View our selection of funeral flowers on our website here, and place your order today! If you already have something specific in mind for the flower arrangements, let our florist assist in the creation process. We specialize in custom funeral flowers in Boise. Just send us a photo of an arrangement you like, let us know what flowers or color schemes you prefer, and we’ll coordinate the rest! We can even create custom floral pieces unique to your loved one, with personal memorabilia incorporated into the arrangement. As one of the oldest florists in Boise, Johnson Floral & Decor offers some of the most innovative and customized flower arrangements in the area. We deliver funeral flower arrangements that are both beautiful and meaningful to the individual’s life. Whether it be standing spray in the shape of a heart or a cross, a patriotic flower arrangement for your veteran, a standing spray with personal memorabilia, or an elegant arrangement designed with your loved one’s favorite flower, our Boise florist can do it all. Flowers and plants have a special healing effect on an individual, and we want to add our special touch in each design. Contact our florist today to help with the special design of your family’s custom funeral flowers! At the funeral you will want everything to go smoothly and go according to plan. Having a reliable florist in Boise will do the trick. Nothing is more stressful than having a florist show up late, have an important order missing, or accidentally have sent the flowers to the wrong location. Johnson Floral & Decor wants this day to be perfect for you. Order through our Boise florist, and count on us to get your orders right and on time! For a small fee, our florist can deliver directly to your location. 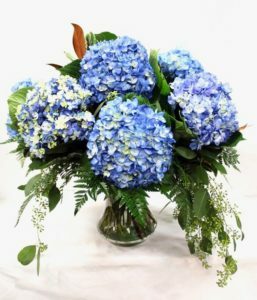 If you are buying funeral flowers as a donation to the family, Johnson Floral & Decor can also include your customized sympathy note with the flowers. Once the funeral services and procession concludes, cleanup begins. With the leftover funeral flower arrangements, you will need to plan ahead what you’d like to do with the remaining flower arrangements. Some prefer to send them home with the family members, while others may opt to repurpose and donate the flowers to a care home or a veterans memorial. If you are not sure what you’d like to do with the flowers after the funeral, our Boise florist can provide a few recommendations. Just give us a call at (208) 342-5687, and a we’d be happy to answer any questions you may have about your order or funeral flowers in general. We wish you our most sincere condolences during this difficult time. If you have never before planned a wedding, preparing the flower order may seem daunting. Buying flowers for a wedding doesn’t need to be overly complicated though. It only requires knowing what your budget is, estimating how many flower arrangements and bouquets you will need, and knowing what kind of flowers and colors you want for the wedding. If you are aren’t sure about what flowers you will need for the upcoming wedding, below is a simple checklist you can follow to be sure you don’t miss a thing! A bride without flowers is like a wedding without a cake. The bride’s flower bouquet will be one of the most iconic pieces of the wedding; everyone will be checking it out. You will want to make sure the florist gets it perfect and on time. Nothing is worse than a florist who can’t deliver on time, or get your order right, especially for a wedding! Johnson Floral and Decor has a large selection of bridal bouquets, with many different types of flowers, colors, and fillers. Brides also have the option to customize their wedding bridal bouquets, so the florist can make it exactly how they want. If you are looking for a few ideas for what your bridal bouquet could look like, start here! It has long been a tradition for the bridesmaids to carry a small bouquet of flowers on the wedding day. Bridesmaid flowers not only look great for pictures, but are a nice way for you to thank them for their friendship and all their help with the wedding. Johnson Floral & Decor offers a variety of bridesmaid flowers, ranging from elaborate to simple. If you have a lot of bridesmaids, you may want to keep the bridesmaid flowers simple to keep costs down. If you only have a few bridesmaids, then you can spend a little more on the bridesmaid flowers. With weddings, it is up to you to decide where you want to splurge on flowers. Maybe instead of spending more on bridesmaid flowers, you may want to spend more on the centerpieces or the bridal bouquet; it just depends on your personal preference. If you are looking for some ideas for bridesmaid flowers, Pinterest is a great place to find ideas for bridesmaid flowers. While a lot of emphasis is placed on the bride and her bridesmaids during the wedding, it’s important to share the love with the groom and the groomsmen. After all, the wedding is a celebration of the couple together with their friends and family. With normal wedding tradition, the groom and groomsmen are typically provided with boutonnieres. Each of these boutonnieres are pinned on their suit coats for the wedding, and are to be worn through the duration of the wedding. If you would like to customize your boutonnieres for the grooms and groomsmen, our Boise florist can assist you with any of your requests. What is a wedding without a flower girl? Symbolizing the journey of the bride from childhood to womanhood, nothing is cuter than a little flower girl walking in front of the bride with a basket of flower petals. If you haven’t decided whether you have one or many flower girls, you likely still have time to decide. Just give our florist in Boise a call early to put your order in for the flowers. Last, but not least, don’t forget the centerpieces for your guest tables at the wedding. Wedding details such as these, will help you accomplish the overall look and feel you want at your wedding. At our Boise florist we offer large or small centerpieces, which are tailored to the needs of our clients. If you are interested in a completely original, centerpiece design, contact our Boise florist company. Let us design the perfect centerpieces for your guest tables! Keep in mind different varieties of flowers grow in different seasons, so if you are getting married in the winter, spring, summer, or the fall, your flower selection may vary. Requesting out-of-season flowers for your arrangements and bouquets may be more costly, so don’t be surprised. Choose flowers in season when possible, and be sure to budget accordingly for flowers at your wedding. Lastly, don’t forget to specify the delivery options for your wedding flowers. If you need any help or assistance placing your order online, feel free to give us a call today at (208) 342-5687. When it comes to Mother’s Day, some people get anxiety over getting the perfect gift in time to make the day special for the women in their lives. While this may be a common scenario, Mother’s Day does not need to be a stress, especially when you have local flower and gift shops in Boise to help you out. Plus, keep in mind mothers really just want to know you love and appreciate them. Don’t worry if your gift is small or predictable, it’s the thought that counts. Remembering Mother’s Day and trying to make it special will mean the world to your wife or mother. Nothing is more disappointing to a mother on Mother’s Day than to not be recognized by her family. Motherhood requires a lot of unpaid, unnoticed hard work, which is rewarding, but requires the best years of her life. If you have events which do not make it possible to celebrate Mother’s Day on the day, then let your wife or mother know in advance and make other arrangements. That way, on Mother’s Day she isn’t left to feel unappreciated or forgotten. If you are struggling to come up with a thoughtful Mother’s Day gift in Boise, Johnson Floral & Decor can help give you a few ideas. Stop by our flower shop in Boise and get a few ideas first hand! Make this Mother’s Day special for those special women in your life! Johnson Floral & Decor offers great gift items and convenient local delivery options, so buy your Mother’s Day gifts here! Call us at (208) 342-5687 today to place your order.